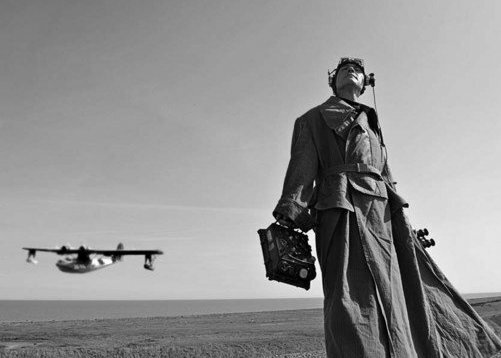 THOMAS DOLBY releases his first album in 20 years with ‘A Map Of The Floating City’. Although retired from the music business since 1992, he has been busy in Silicon Valley with his tech company Beatnik Inc where among his achievements have been the integration of music into web media and the development of the polyphonic ringtone engine which is now encased in millions of mobile phones worldwide. A few years ago, he returned to the UK with his family, back to his roots in East Anglia. Practicing what he preached back when he first appeared on Top Of The Pops with ‘Windpower’ in 1982, he built a renewable energy-powered studio on a 1930s lifeboat located in the garden of his beach house on Suffolk’s North Sea coast and began recording again. In many ways, ‘A Map Of The Floating City’ is that life journey set to music. Split into three chapters, it is a travelogue across three imaginary continents. It starts with ‘Urbanoia’, a dark place which could be seen as a metaphor for the hustle and madness of city lifestyles in Northern California and Silicon Valley. ‘Amerikana’ then documents the Englishman’s fond farewell to the US and is a tribute to its rootsy musical forms. And finally with ‘Oceanea’, this sees the return to the countryside tranquillity of home on a windswept coastline. Thomas Morgan Dolby Robertson’s early uses of technology in the studio and live arena with debut album ‘The Golden Age Of Wireless’ helped him achieve recognition and stardom with the MTV generation, particularly in America. However, despite the resurgence of the synthesizer in the last ten years, ‘A Map Of The Floating City’ is not TMDR’s return to electronica. 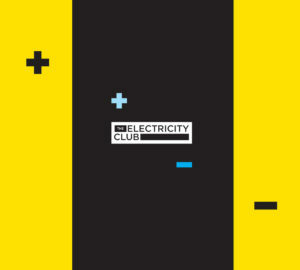 “I don’t feel like a pioneer anymore working in that area” Dolby said to The Electricity Club earlier this year when discussing the rapid developments that have now allowed electronic music to even be made on a budding musician’s iPhone. But he added: “On the other hand, what I’ve got that those ten thousand guys haven’t got is songwriting ability. So I’ve focussed a lot more on songs, the lyrics, the chords, the personality in the voice, the sounds and the production are secondary, they just serve to illustrate the songs for me”. So opening this very song based album, ‘Nothing New Under The Sun’ tips its hat pleasantly to Dolby’s production past and could be Swoon era PREFAB SPROUT. Meanwhile those who do want some contemporary styled synthpop will totally love ‘Spice Train’. Over its hypnotic, squelchy sequence and mechanised dance beat, it gets strangely humanised by a Mariachi horn section. With the kitchen sink and a host of exotic influences thrown in via Bollywood and the Middle East, ‘Spice Train’ does exactly what it says on the tin. Continuing the international flavour, Kooky Russian-born songstress REGINA SPEKTOR features in a cameo cast as an East European waitress on ‘Evil Twin Brother’ which also has a smattering of electronics. But it’s onwards from here that the more naturalistic majority of this collection kicks in as brass and double bass form the basis of ‘A Jealous Thing Called Love’. DIRE STRAITS’ Mark Knopfler adds some countrified twang to ’17 Hills’ alongside Natalie MacMaster’s fiddle, while some soothing piano holds together the ballad ‘Love Is A Loaded Pistol’. The closing third features all the cinematic touches you would expect from Dolby’s more personal work. The beautifully ethereal ‘Oceanea’ sees FAIRGROUND ATTRACTION’s Eddi Reader join in alongside his own processed vocal for some emotive reflections on the bond between mother and son. “The song has a very strong presence of my mum who is from East Anglia and I think would be very pleased to see I’ve moved back and brought my family to the coast here” said Dolby, “So Eddi is really the voice of my mother, she’s a nurturing voice who kind of reiterates my own thoughts”. Starting with some spooky theremin courtesy of Bruce Woolley, the bossa nova toned ‘Simone’ recalls ‘The Flat Earth’ and points to Dolby’s cover of DAN HICKS’ ‘I Scare Myself’. And to finish the album, ‘To The Lifeboats’ builds along in with the organic freeform feel of TALK TALK circa ‘Spirit of Eden’. Anyone who has enjoyed THOMAS DOLBY’s songcraft and his productions for other artists through his career will find something to savour on this varied and well crafted album. Holding together very well artistically, ‘A Map Of The Floating City’ is a welcome return for The Lost Airman – is that your PBY Catalina parked on the waterway Sir? ‘A Map Of The Floating City’ is released on 24 October 2011 by Lost Toy People. A 2CD deluxe edition featuring an instrumental version of the album plus bonus track ‘I’m Not Your Dog’ is also available.